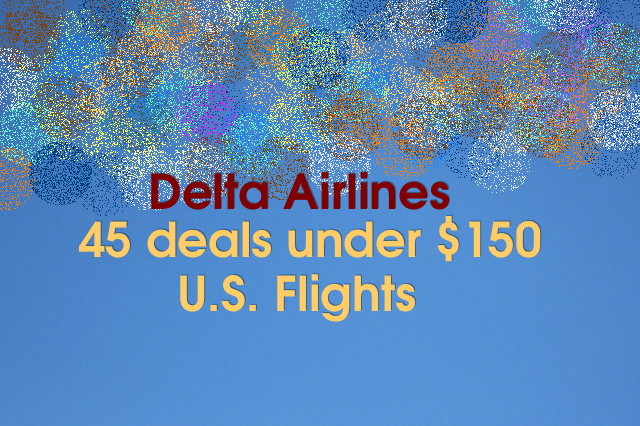 Delta has posted over 90 deals and over 45 of them are under $150, one way. Purchase by December 1st, 2014. There are about 15 deals under $100. I think that Delta might still post another set of flight deals for this Thanksgiving and post Thanksgiving season. We will wait to provide you an update. They require round trip purchase. please visit delta.com for further details. Several flights seem to be a good deal considering the holiday season. NOTE: we are not an affiliate of Delta. These prices here are provided for our readers benefit and we ask that you do your due diligence and review the fine print at delta’s website before making the purchase. Travel Period | Travel may occur December 9, 2014 through June 5, 2015. Advance Purchase & Minimum Stay | 14 days; Saturday night. Blackout Dates | December 19, 20, 26- 29, 2014. January 3, February 16, and May 21, 22, 25, 2015. Other Rules | Tickets may be purchased at delta.com.